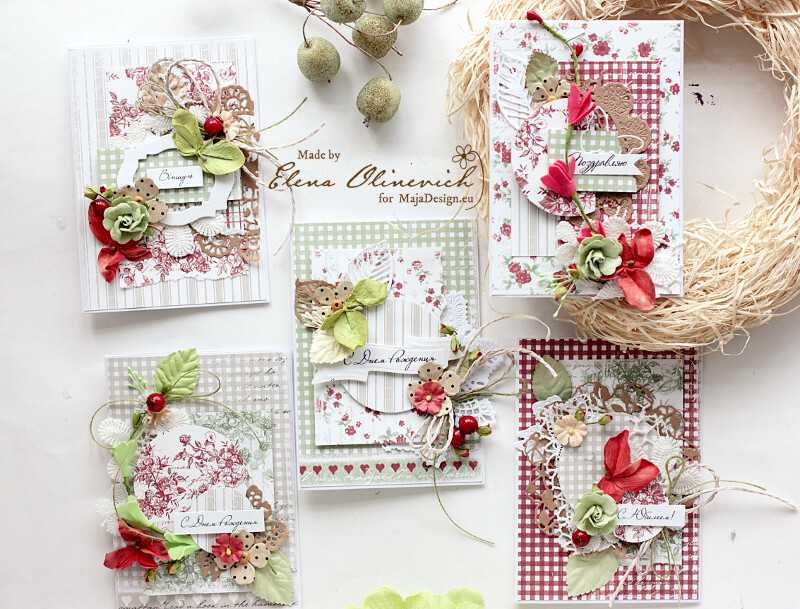 Jennifer Snyder here to present a pop-up twist card featuring two of my favorite product combinations – beautiful fun papers from Maja Design in Sweden and wonderful Creative Embellishments chipboard. Since this card is a pop-up twist card, it’s a bit of a surprise when it’s opened. Add on the chipboard and it’s a real birthday treat complete with birthday cupcake. 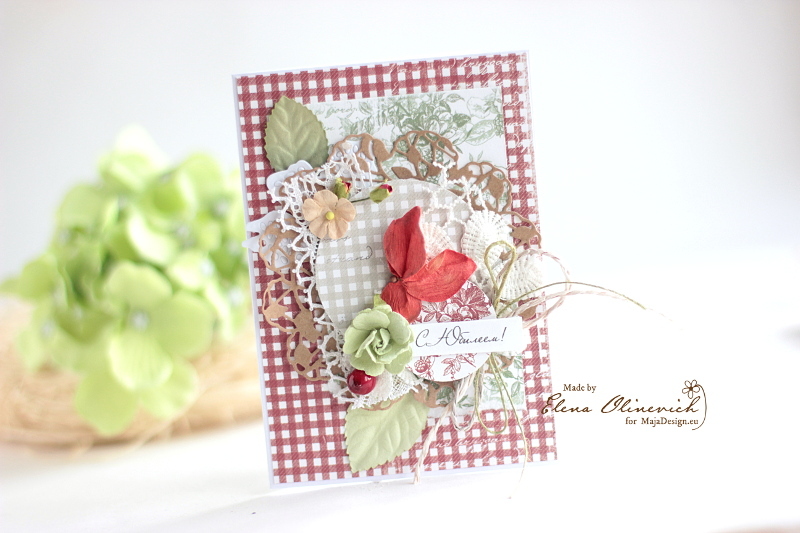 I have used Maja Design’s “Life in the Country” collection on my card. The collection is bright and happy and feels like a sunny day. That is exactly the feeling one should have when opening a birthday card. Well that’s the feeling I like to have. As I mentioned, this pop-up twist card offers some surprises. 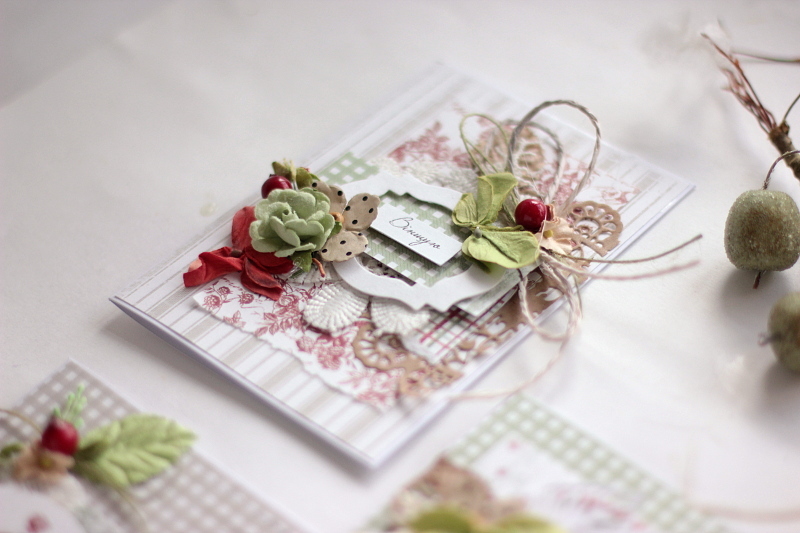 I used a variety of chipboard and veneer pieces from Creative Embellishments. I like to keep them simple by painting or inking so that they do not over take the beauty of the papers – they are only accents. 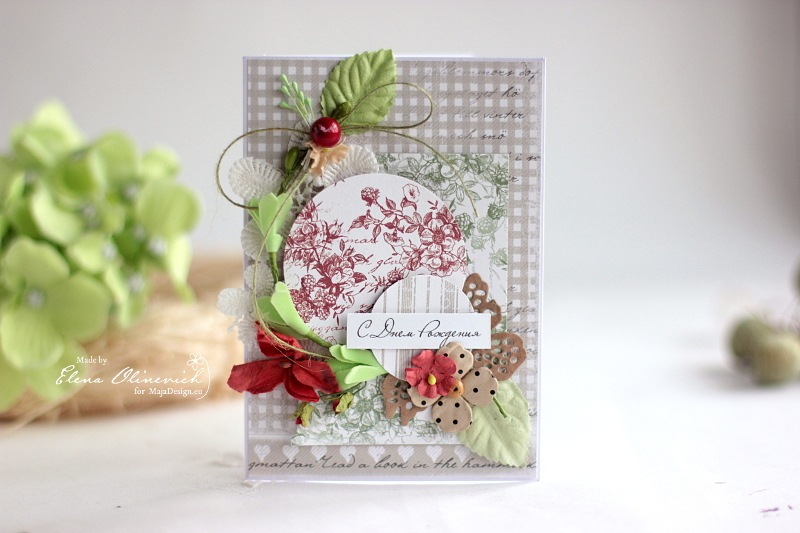 The pop-up twist die is from Karen Burniston’s die collection. Jennifer Snyder here today to share a cheery decorated box. This box was a chocolate box I had saved from Christmas. I ate the chocolates ( I may have even hid them from my family) and then saved the box as if I always had it. I can be super sneaky that way where chocolates are concerned. 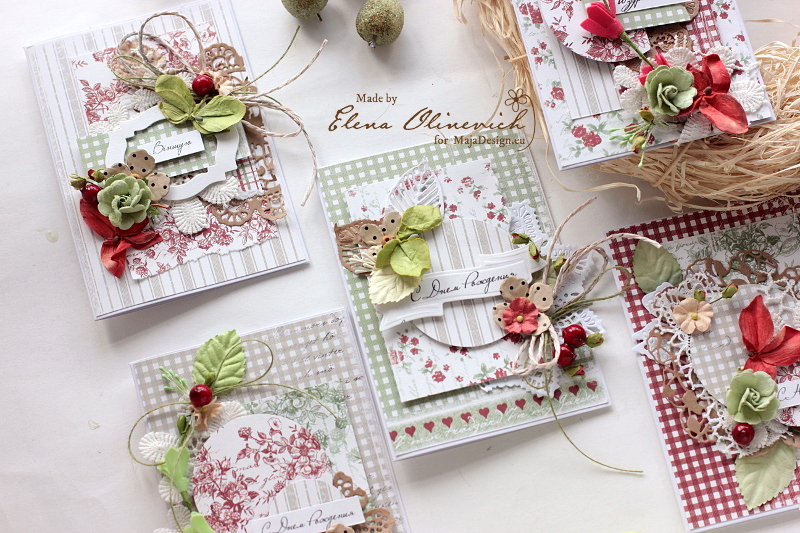 I grabbed the gorgeous Maja Design collection called Life in the Country. 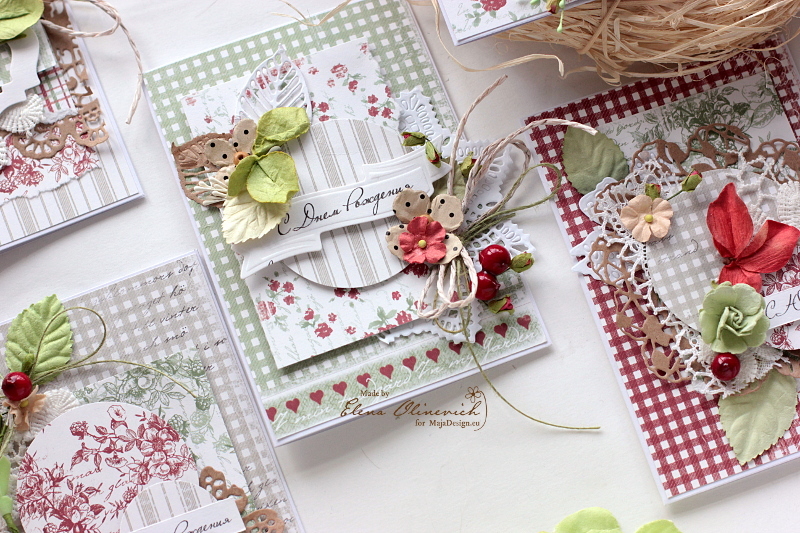 Such a happy cheery collection that makes me think of a summer picnic. 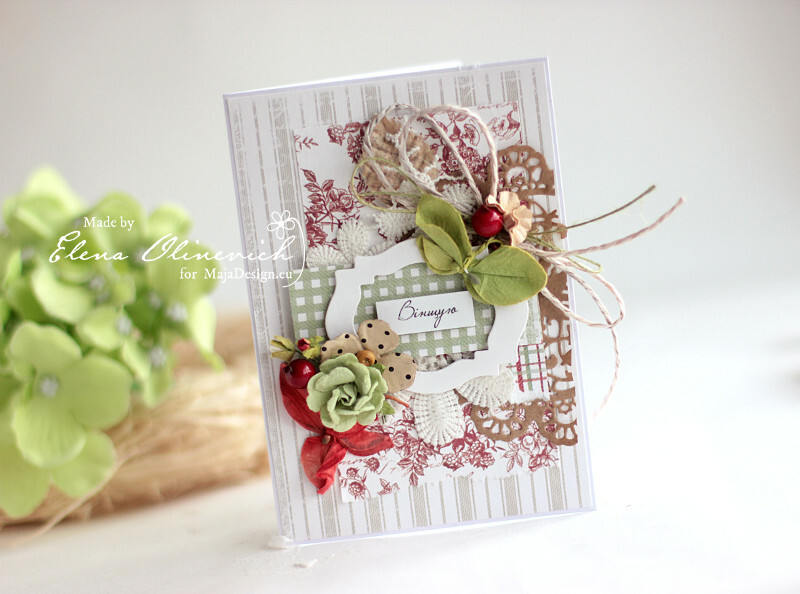 The top of the box is decorated with a gorgeously fabulous die from Spellbinders called Spellbinders Shapabilities Die – Heirloom Oval. I added white cardstock behind the die to really make the design pop. Along with the die cuts, the box is embellished with some exquisite flowers from Petaloo, some gold shimmery ribbon and gold floral berries. The side of the box also has a diecut from the same Spellbinders die set as used on the top of the box. This view of the side provides an exquisite view of how wonderfully the patterns of the paper match and coordinate. Another view of the top and the beautiful papers. Shop for the wonderful Maja Design collections using the “Store Finder” link found there. Few days are left before the Spring ends and the summer officially comes. I can not believe that finally I will enjoy the outdoor activities and hope that I will have time to craft at the same time. For today’s post I prepared 5 cards. I have a blast working on 5 cards at once. The reason is that I love so much Life in the country collection. It seems that the summer starts and I craft only with these particular papers. 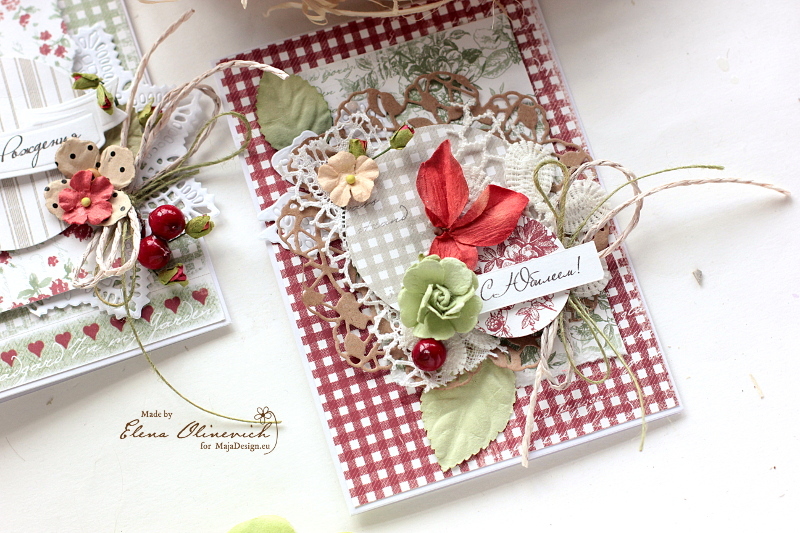 I mixed red, green and cream brown colors for my cards. They remind me about berries, trees with the leaves and the wind whisper. I have been waited so long for this time of Season. My cards are almost the same but they are different, as I didn’t use any similar sketch for them. 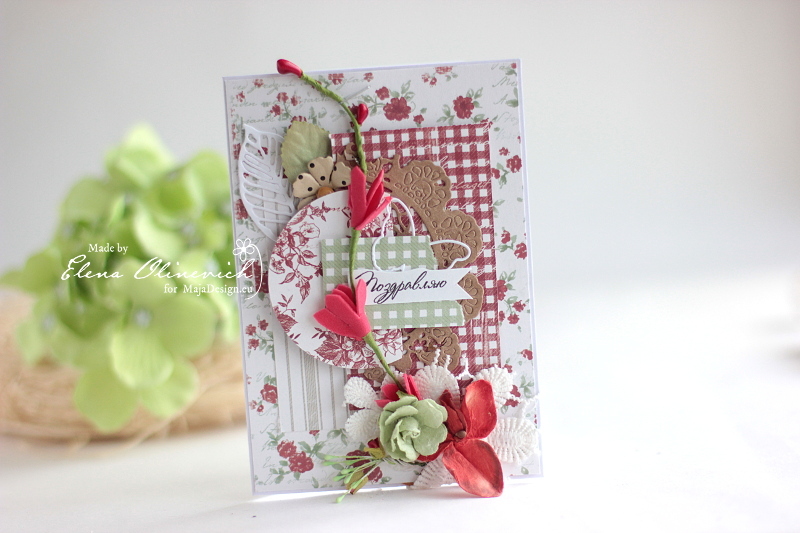 They are mostly celebration cards, I made different sentiments for them as – Congratulations, Anniversary and Birthday. I do like to have several cards by hand for any occasion, and working on the cards at once gives me the chance to be ready for any special date. few flowers, string, some dies. Adding some craft elements can make it look more bright.